Hardware superiority has been Apple’s strong suit for quite a while now. Pioneering modern computers, from the Apple II, has been their thing. In the 43 years of its lifespan, Apple has managed to bring the only trillion dollar empire. Yes, you may argue that they are unfair and often charge more for their products. But, one must appreciate the “trillion” dollar mark. Going on to their website to find a plethora of products that they provide, hard to see where Apple isn’t involved. Looking at their keynote yesterday, it’s surprising to see how far Apple has come from making machines which lacked a proper GUI. It’s quite exciting actually. It’s brilliant too. Apple, from being a hardware-centric company transitioned into one that provides so many services. Looking at their current line up, we can see their service-based products. These include products from iWork (Keynote, Pages etc), products like Apple Music, Final Cut Pro X and other related products. Adding more to these were the four new products revealed at Apple’s Keynote last evening. While it should be noted that Apple has been working on similar products in the past, a formal keynote shows its seriousness in the field. Yesterday, Apple held one its Annual Keynotes. It was hosted at the Steve Jobs theatre at Apple Park. While many still awed at the giant city-like structure Apple has created, Tim Cook kick-started what would be known as a turning point the company’s history. At the Keynote, guests were introduced to 4 new products; Apple TV+, Apple News+, Apple Arcade and Apple Card. Wow! That’s a lot of Apple! Being on the most anticipated product of the bunch, Apple’s streaming service was rumored about for quite some time now. It was known for quite a while that it wanted to enter the streaming-service market. This is Apple’s answer to Netflix, to Hulu and to Amazon prime. The background for this can be read here. To summarize what the service is set to do, we can look at Netflix. It is a similar service but focused and advertised more towards original content. The reason for that can be found in the link attached. For now, it is advertised exclusively as an Apple TV app so that restricts its user base by A LOT. 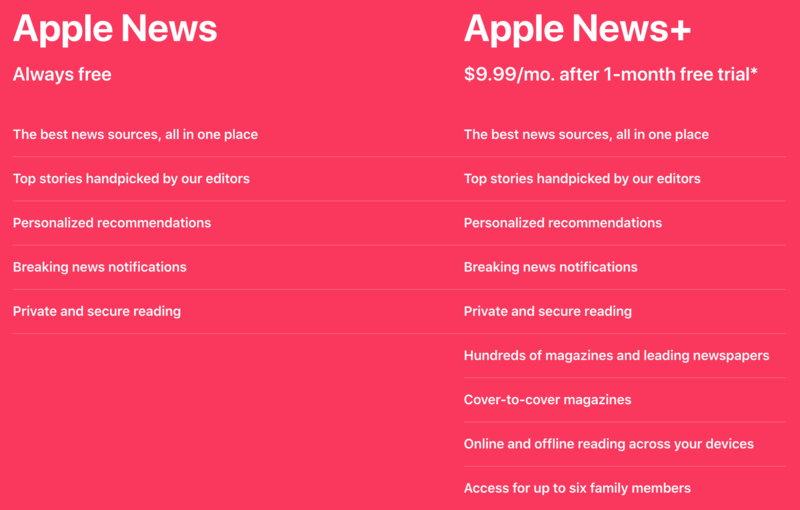 An add-on to the existing Apple News app, it provides certain additional features to the otherwise simple App. Unlike Apple TV+, this is available as of today. Users may opt to register for it. The subscription runs for $9.99/mo in the US. It would include magazines cover to cover and other newspapers. Other exclusive content to be included as well. This is the first time since Game Centre that Apple worked towards gaming in particular. Although the service seems to be derived from Google’s Stadia or Nvidia’s Geforce Now, in reality, it is a bit different. While those platforms provide a cloud-based gaming platform that is streamed on PCs through giant data centres, this one gives access to a library of titles much like PlayStation Now. 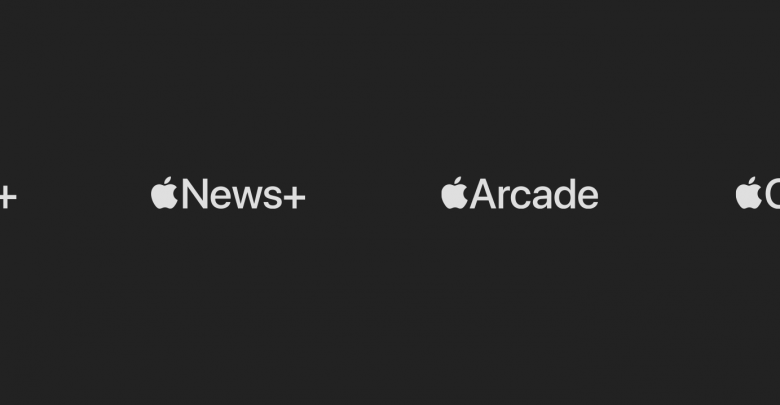 Like Apple TV+, Arcade will debut in the fall as well. Lastly, Apple introduced its first-ever financial product following the ground set by Apple Pay. Apple Card is a virtual credit card developed by Apple and Goldman Sachs to further build upon Apple Pay. They have brilliantly diversified the card’s use by making it available as a swipe card and a digital one. Therefore an Apple Customer would not have to worry about vendors not supporting Apple Pay because clearly, Apple has them covered either way. Boasting their new product-line aside, this should be noted that this is all quite new coming from Apple. Not only has Apple always been focused on hardware related products but was quite often criticized for its lack of diversity. The mind may even ponder that does this mean Apple’s defeat in the hardware game. In recent years we have seen many leaps by rival companies in the field. Today, Apple’s final product is almost always one the most robust kind but that does not mean they have mastered each an every bit. Quite ironic actually. In the pursuit to make the best overall experience, Apple has managed to make an excellent product for a less number of users, many of who are enraged. It is hard to give a definitive answer to the predicament that surrounds the company. Currently, they’re not doing so well on the smartphone front. Awaiting their next innovation, we have seen Apple focus on a Keynote centered on services and no hardware. I have said it before and I will continue to say it again. This is new from Apple. It is quite welcome. They truly do Think Different.